What’s your favourite colour and animal? 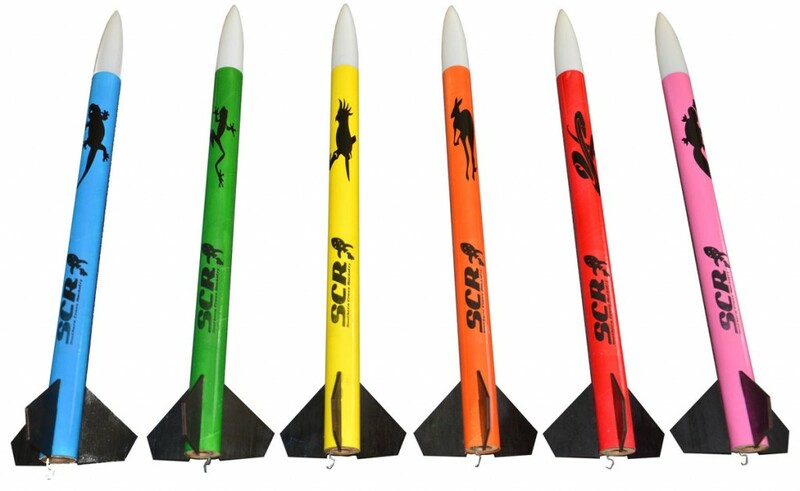 The SCR Aussie Animal rocket kits are great for those who just want to fly! Simply cut and assemble the parachute to the desired size, tie it on with the nosecone and you’re ready to fly! High quality plywood fins and Kevlar® shockcord are used for superior strength.